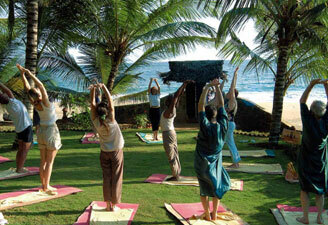 Being a part of Ananda Yoga Tour is a time of a life for a traveller. 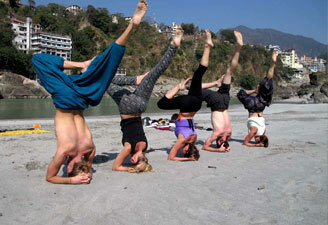 Located in the tranquil charm of Himalayan foothills and adorned with a touch of divinity of Haridwar and Rishikesh, Ananda Yoga Tour is an ultimate bliss. In fact, it is not just a spiritual sojourn featuring enticing locations and mild weather, but is a great way to revive the mind, body, and soul. The luxuries and holistic therapies of Ananda Spa alter lifestyle for a better existence through wellness regimes of Ayurveda, Yoga, and Vedanta in accordance to the specific body type and constitution. Early morning Yoga session at your Hotel. After breakfast, proceed for half day sightseeing of the city. Visit Jama Masjid and Qutub Minar, drive past Red Fort, the Secretarial Buildings, Parliament House, President House and the India Gate. Afternoon at leisure. In the evening another Yoga session at the Hotel. Overnight at Hotel in Delhi. Early morning board Shatabdi Express for Haridwar. Arrive Haridwar and transfer to Rishikesh by surface. Overnight at Ananda in the Himalayas. Optional – Choose from various wellness programs/ spa treatments offered at Ananda in the Himalayas. Overnight at Ananda in the Himalayas. Morning at leisure or choose from various wellness programs/ spa treatments. In the evening transfer to Haridwar railway station. Depart for Delhi by Shatabdi Express. Overnight at Hotel in Delhi. In the morning transfer to International airport to connect to flight for onward destination. Note: - Ananada - In the Himalayas is a luxury upmarket Spa located in Rishikesh and is meant for clients looking at a luxurious spa Holiday. 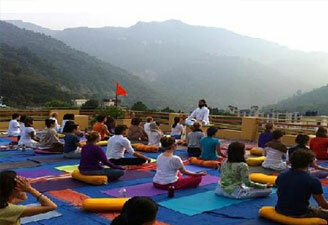 Number of nights at Ananda – In the Himalayas can be extended depending on client’s requirement. Ananda – In the Himalayas also offers various well being program packages like Ananda – detox, Ananda Ayurvedic Rejuvenation, Ananda Stress Management, Ananda Yoga, Ananda Anti – Ageing Programme etc. These packages are offered for 3 nights/ 4 days, 5 Nights/ 6 Days, 7 Nights/ 8 Days etc.